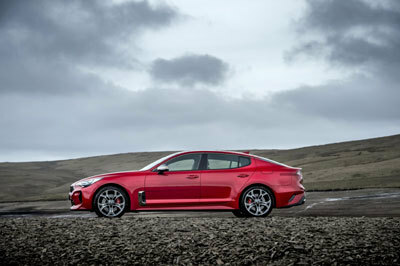 "The Stinger has nothing to do with being the first to arrive," says Gregory Guillaume. 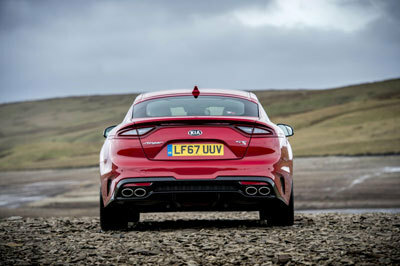 "This car is all about the journey. It's about passion." 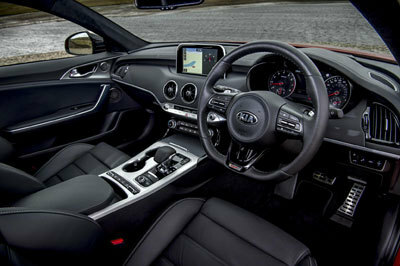 A variable-ratio version of Kia's rack-mounted Motor Driven Power Steering (R-MDPS) is fitted to the GT S grade, and this can also be adjusted via the Drive Mode Selector. The Normal setting requires less turning effort from on-centre, becoming progressively firmer as more lock is added. Sport requires more initial effort, while shorter gearing ensures more immediate response by reducing the need for larger steering inputs. 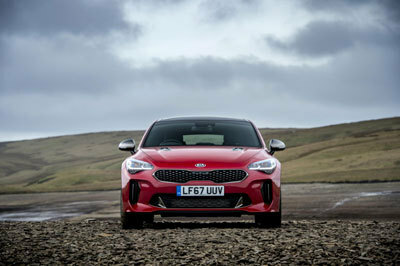 Stinger's brakes have had more development work than those on any previous Kia to ensure they are up to the performance of the engines. 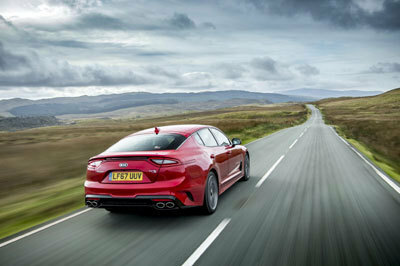 There are ventilated discs at all four corners for the 2.0-litre T-GDi and 3.3-litre T-GDi V6 models, with ventilated front discs and solid rear discs for the 2.2-litre CRDi models. GT-Line S and GT S supplement this with Blind Spot Detection with Rear Cross Traffic Alert: together, these act as an extra pair of eyes for the driver, warning of vehicles approaching out of his or her eye-line when changing lanes or exiting parallel parking spaces. An Active Bonnet is standard with all three trim grades to provide additional protection for pedestrians' heads in a collision.